For the skeptics and know-nothings who have written in suggesting Eli Wiesel was not in the camps, that Night is purely fiction, you are all dead wrong. 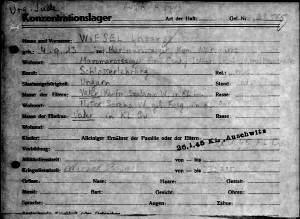 The Red Cross International Tracing Service Archives documents for Lazar Wiesel and his father prove beyond any doubt that Lazar and his father arrived from Buna to Buchenwald January 26, 1945, that his father soon died a few days later. –Kenneth Waltzer in a comment at Scrapbookpages Blog, March 6, 2010. Elie Wiesel was not incarcerated at Buchenwald. He was not liberated from Buchenwald. He was not a victim of the “Nazis” there. Well, how do we know that Elie Wiesel was at Buchenwald? 1. We have a numerical file (registration) card for Lazar Wiesel from Sighet, born 1913. 2. We have a questionaire (Fragebogen) made out for and signed by a Lázár Wiesel, a 16-year old Jew from Sighet. 3. 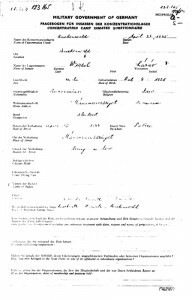 We have a transport list from Buchenwald to France with the name Lazar Wiesel, born Oct. 4, 1928. 4. We see a picture of him in the famous photograph taken in Barracks #56 on April 16, 1945. 5. We have a death report for Abraham Viezel on 2-2-1945, in Block 57. 6. We have a transport list from Auschwitz to Buchenwald with the names Lazar Wiesel, #123565, born 4 September 1913 and Abram Viezel, #123488, born 10 October 1900. 7. We have a photo of the “rescued children” marching out of the Buchenwald main gate on April 27, 1945. 8. We have the book Night, in which he says he was. The above list is ordered according to its perceived importance in proving Wiesel was at Buchenwald, so I’ll start from the bottom (least important) in showing that they don’t prove any such thing. 8. The persuasiveness of the book Night has been dealt with in several other places, for example here and here, and is not considered evidence. 7. Photo of Buchenwald Boys (scroll down a bit). The boy that Ken Waltzer has identified as Elie Wiesel (who was identified to him as such by Jack Werber of Great Neck, NY, a “holocaust survivor” activist) is clearly not Wiesel and has not been identified as Wiesel by anyone other than Ken Waltzer. Waltzer had this image/blurb, at right, on his MSU website for years [the site was removed sometime in 2012], making him look foolish. Will Waltzer admit that he was wrong all this time, or try to sweep it under the proverbial rug? 6. The Transport List to Buchenwald only proves that Lazar Wiesel, age 31 (a locksmith by trade) and Abram Viesel, age 44, arrived at Buchenwald on January 26, 1945 from Auschwitz. See here and here. Lazar had been given the Buchenwald number 123565, while Abram had 123488. There is no honest way to turn these two into Eliezer Wiesel and his father. Both the birth dates and the names are wrong. 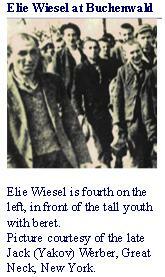 It only proves that Elie Wiesel claimed for himself the Auschwitz prisoner number (A7713) of another man. Where is the tattoo on Elie’s arm that reads A7713? 3. The Transport List to France. When did Elie Wiesel’s birthday change to Oct. 4th from Sept. 30th? A majority of boys on this list share the birth year of 1928. The person listed as Lazar Wiesel is the same Lazar Wiesel that the Questionaire refers to, but we have determined that this person could not have been Elie Wiesel. It is true that Elie Wiesel went to France, but how he got there, and when, is not clear. 2. The Questionaire [scroll down page] was apparently prepared for and signed by every prisoner prior to their release. It is dated April 22, 1945; the prisoner number is 123165, different by one digit from our previous Lazar Wiesel #123565, and is the number belonging to a recently deceased inmate, Pavel Kun,5 whose death is recorded as March 8, 1945. Since Elie Wiesel allegedly received his number upon arrival on Jan. 26, 1945, he would not later be given a new number from a prisoner who just died. It would seem from this that Lázár Wiesel is a newcomer-of-sorts who had been given a number that had just been released. 1. The Numerical File Card (below), made out at registration, is for Lazar Wiesel from Maromarossziget, born Sept. 4, 1913, making him at the time 31 years old. His Buchenwald prisoner number 123565 is written on the upper right. The card indicates his father, Szalamo Wiesel, was also at Buchenwald, while his mother, Serena Wiesel, nee Feig was currently interned at KL Auschwitz (at the time of Jan. 26, 1945). This registration card is the only item that casts some doubt7 over Nikolaus Grüner’s account of Lazar and Abram. But it does not prove that this Lazar Wiesel is Elie Wiesel. It does not make any sense that all the birth dates for the same person would be different! It makes more sense that there were several persons with similar names. Note that this card identifies Lazar Wiesel as a locksmith (Schlosserfehrling), a trade of which the 15-year-old Elie Wiesel never would have identified himself. In Night he identified himself upon entry to Auschwitz as “a farmer” (p. 32, MW translation) and continued not to boast of any skill (of which he had none anyway) so as not to be sent out for work. So we end up realizing there is no evidence that Elie Wiesel ever set foot in Buchenwald in 1945. What’s more, he and others (including Ken Waltzer) have actively and knowingly lied about photographs, dates, times, names, etc. This has gone on with the blessing and support of Yad Vashem Holocaust Memorial in Israel, the US Holocaust Memorial Museum in Washington DC, the New York Times Company, Associated Press, and other establishment media – and the multitude of Jewish/Holocaust-promoting organizations across the globe. Think of Elie Wiesel conducting US President Obama and German Chancellor Merkel around the Buchenwald Memorial in 2009! It is a giant criminal conspiracy when one really takes a look at it. The ramifications are immense. Someone, preferably Elie Wiesel, needs to explain all the discrepancies in his tale. He has never offered to and never been asked to. If Wiesel won’t attempt an explanation, then Ken Waltzer the Historian with the PhD from Harvard University must do so. In his scholarly studies, Waltzer includes Elie Wiesel as one of the “Rescued Children of Buchenwald. ” One duty of a scholar is to answer serious and justified questions about their work. Elie Wiesel Cons The World is asking such questions and so we await an answer. Update 6-15 Great idea from a reader: Write to Prof. Ken Waltzer at [email protected] and ask him politely to answer the questions raised in this article. 1. Prof. Kenneth Waltzer has removed this article from the Internet, along with his entire website which the article had been a part of for several years, and says he has written a new separate article on Elie Wiesel in Buchenwald. He obviously doesn’t want comparisons made between his old and new article and is waiting as long as possible to make it public. Or is he still reworking it? Readers might be surprised to learn that the Hebrew calendar date of 18-19 Shevat, 5705 corresponds to February 1-2, 1945. This gives credence to the idea that Abram Viezel’s death is the model for the story And The World Remained Silent. The date in the original story for Father’s death and the date of Buchenwald records for Abram’s death concur. This leads me to question Elie Wiesel’s personal knowledge of events at Buchenwald because why would he change the date to Jan. 28-29 if he knew the significance of Feb. 1-2? Also, the death took place in Block 57, the report said, which would seem to be next door to Block 56 where the famous Buchenwald liberation photo is said to have been taken. Another question that occurs is: Of all the photos taken in Buchenwald after liberation, why don’t we find even a single one with Elie Wiesel in it? Knowing he wasn’t there at all may be why he liked the food poisoning/hospitalization story – it can explain why he doesn’t show up in any photograps. But it totally contradicts the “evidence” of the Questionaire and of his being in the famous barracks #56 photo. Waltzer trapped himself again. The officially declared date of the photo is April 16, which is well established. Waltzer is simply trying to evade with lies the serious problem of Wiesel going into the hospital 2 days before the photo was taken. This is NOT how a respectable, responsible historian does things. In addition, Waltzer is saying that the photograph was taken in the children’s barracks #66, which is utterly wrong. The official description says it was barracks #56, for men, or possibly a sick barracks. If Abram Viezel was in a sick barracks when he died (#57), then #56 might also be an “infirmary” barracks. 5. Pavel Kun is on the transport list of Jan. 26, 1945 from Auschwitz to Buchenwald. He appears under the section Politische Slowakan Juden; his birth date is July 6, 1926, making him 18 when he died. 6. 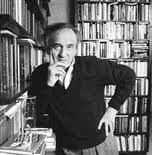 Revisionist Carlo Mattogno concluded, after studying these documents, that Lazar Wiesel, Lázár Wiesel and Elie Wiesel are not the same person. In conclusion, we can say that Elie Wiesel can be neither Lazar Wiesel, nor Lázár Wiesel, nor Lazar Vizel and that the ID number A-7713 was not assigned to him but to Lazar Wiesel, while ID A-7712 was not assigned to his father but to Abram (or Abraham) Viesel (or Wiesel). 7. Szalamo seems likely a Hungarian spelling for Shlomo. Serena Feig is close but not Elie’s mother’s name, which was Sarah Feig. According to this card, Lazar had a father in the camp, something that was not mentioned by Nikolaus Grüner. Ken Waltzer will say this proves that Lazar Wiesel is Elie Wiesel, but what about the very wrong birthdate? Why don’t we have a card for Szalamo too? These cards are kept at Bad Arolson, not at the Buchenwald Memorial Museum Archive; only people with special permission (like Waltzer) have access to them. Has all this information ever be send to the Nobel Prize people? H. Nitschke – Maybe you could send it to them? In my experience, they don’t care and they are part of the problem. I would like to get this article linked to at Rense.com. Can you help there? Thanks Olaf. It’s all so easy, really, since they’re guilty as hell. It’s just trying to get it out there where people other than the choir will read it and pay attention. Wiesel by name, weasel by nature. Elie Weasel is a blatant consummate bold faced liar, categorically and emphatically. Great work Carolyn ! What he said. The truth will out. Tom – You are absolutely right that the failure to find anything at all about Lazar Wiesel, born 1913 in Sighet, Roumania hurts the case against Elie being in Buchenwald. It hurts it but it doesn’t kill it. Because Elie’s story is so fraught with error, and also deliberate lies. Maybe I should write an article detailing the deliberate lies. The biggest one is claiming to be in that photograph taken in Barracks #56 on April 16, 1945. This is not something that can be attributed to forgetfulness–you’d know if you were there or not. I read your letter on my Heretics’ Hour radio program Monday night, and said that the only doable solution is to put people like Wiesel under oath and question him–and allow cross-examination. I would like to be on that prosecuting team. I know he would be destroyed. I agree that the case against EW is very strong, since no one is coming forth with any objective facts. But I would like to see the coupe de grace before the interpoler(s) kick the bucket. Oh sure, Tom, I agree. But I don’t know how to do it … and neither does anyone else. For example, the Yiddish book Un di velt hot gesvign is registered under the name of Eliezer Wiesel, not Lazar Wiesel. But it works both ways–if Elie goes by Eliezer, why would he use the name Lazar in the camps? I think that there could be a logical explanation to explain the holes in Elie’s story. I cannot bring myself to believe that someone would fictionalize a story on the holocaust and its terrible events. When someone under goes a traumatic event they will most likely not be able to remember every detail perfectly therefore he may have been confused on the dates and times. Elie has also grown older in age which also may make it difficult for him to remember. His book Night, is very detailed and descriptive which makes it difficult to believe that he could make those events up. This blog also states that Elie has not been asked to explain his discrepancies in his “tale”. Could it possibly be because there is no solid proof to question his story? And if he wasn’t actually a survivor than his book is still an incredible account of a Jewish person in the Holocaust and is still educational and provides people with an insight to the terrible things that happened. Elie Wiesel was a member of the racist, underground terrorist group the Irgun. The philosophy of the Irgun was quite simple: Jew are the chosen people and they have a right to occupy the biblical lands. Jewish law like the 10 commandments only apply to other Jews. The Irgun justifies genocide of heathens, because genocide is justified in the numerous stories in the Torah. The Irgun was famous for mass murder and bombings at Mosques, churches, Palestinian functions like weddings, and baptisms. I actually knew 2 members of the Irgun (who by the way knew Wiesel). The stories these 2 women would tell would make your hair stand up. As a member of a terrorist organization dedicated to the creation and expansion of Israel, can anyone believe anything he says? Look Israel justifies burning churches and murdering Palestinians by citing the Holocaust. As if one has anything to do with the other. Why wouldn’t a terrorist lie about his background to justify his actions?